Of the top seniors on the NJ.com Top 50 list, Paramus Catholic wide receiver/defensive back Najee Clayton is one of two who remains uncommitted. 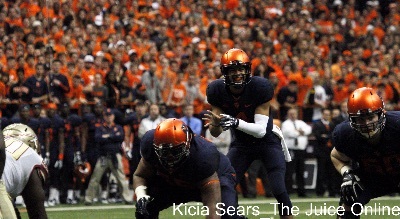 We’ve always looked forward to the one crossover month of the year (once in a while you can throw in December) when both Cuse football and hoops are (usually) playing meaningful games for different reasons, in this instance football in its challenging stretch run to become bowl eligible, and basketball to fine tune its rotation with three new (fulltime) starters against an equally testing early schedule. 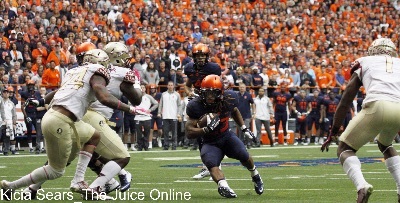 This weekend figures to be another big weekend in the ACC. 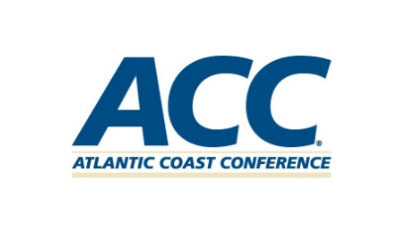 Florida State will play Louisville to try to retain its lead in the Atlantic Division, while will try to hold off five different two-loss teams in the Coastal. 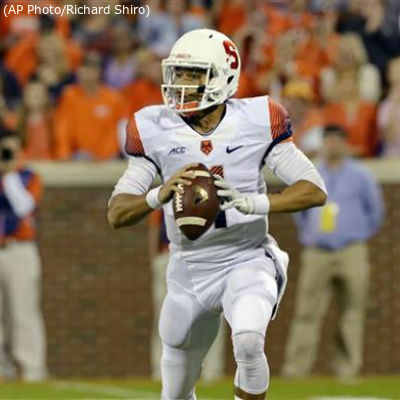 Despite the offensive struggles, the staff shake-up, the four-headed monster of Notre Dame, Louisville, Florida State and Clemson, and the specter of the NCAA, miraculously, a bowl berth is still possible for the Orange. 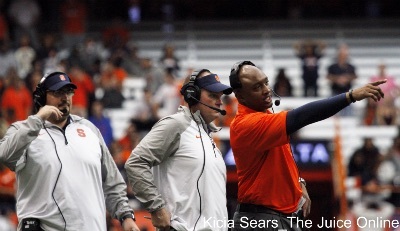 How has Syracuse football’s offense fared in the Scott Shafer era? Long has also shown some inexperience, throwing a foolish interception against Florida State and eating the ball four times against Clemson when he cited the need to get rid of the ball quickly leading up to the game. 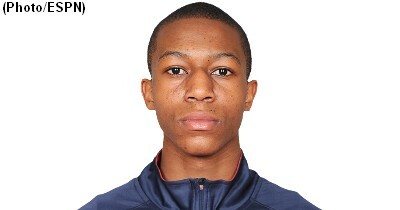 Tyus Battle enjoyed his visit to Duke for their Midnight Madness, and has no other visits currently planned. “It was a great visit,” Gary Battle, the player’s father, told SNY.tv. 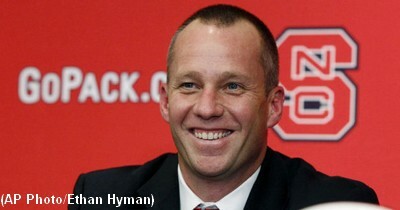 When North Carolina State takes the field against Syracuse on Saturday, they will be without defensive tackle T.Y. McGill. 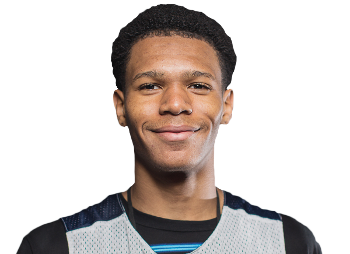 When we last spoke to him during the July Live Period, sophomore St. Benedict’s (N.J.) guard Trevon Duval held offers from Seton Hall, Rutgers, and Villanova. 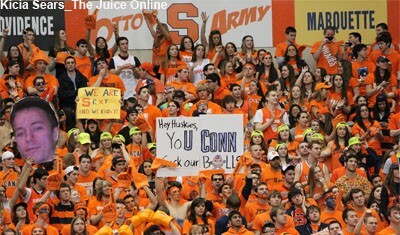 If you had asked any Syracuse fan if they would’ve taken a 16-6 loss in one of the most hostile environments in the country after SU’s brutal 28-6 loss to Louisville, most would’ve said yes. 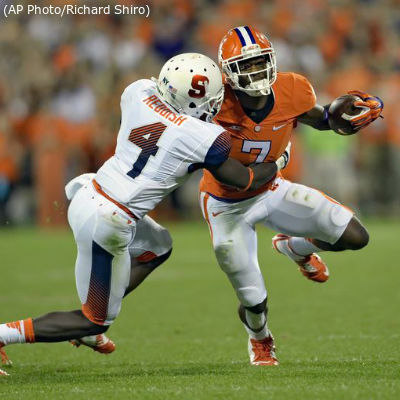 It was a valiant effort by the Syracuse defense, but they just ran out of steam when the cumulative effects of #21 Clemson’s no-huddle offense.